Kadant is a global supplier of high-value, critical components and engineered systems used in food processing and related industries. Our innovative continuous roll cleaning, scraping, and flaking equipment and systems improve runnability, increase productivity, and enhance safety within the process. Keeplastics AB is the producer of Kee-seal and Kee-seal Ultra disposable piping bags. Both Kee-seal and Kee-seal Ultra are very strong, hygienic and are of top quality. Kee-seal Ultra has a unique, patented surface, which ensures that the grip is always good. Trading Places Foodservice Marketing is the agent in Australia, NZ and Asia for Keeplastics AB of Sweden. Lancer Beverage has long been Australia’s leading draught beer dispensing Beer System since pioneering the glycol Chiller Plate system. Now we are proud to be the first and only HACCP approved draught beer system. Click here to view the Lancer advertisement. We are manufacturers and wholesalers of food packaging products such as plastic storage containers etc., for the Hospitality Industry, Private & Public Hospitals, Food & Wine Manufacturers, Government Catering Departments, Catering Equipment Suppliers and Furniture Manufacturers. Our Product Range includes: Food grade plastic stack and nest crates, Food serving items for Cook & Chill application, Disposable plastic and paper products for the food service industry, food packing material, plastic storage containers, Kitchen, Serving Ware, Barware, Protect Clothing. The Juggler is a breakthrough milk on tap system designed specifically for cafes, which is proven to improve efficiencies in filling milk jugs and assist in eliminating plastic bottles from the café waste stream. The Juggler draws milk from refrigerated 10-litre bladders into its taps for dispensing. The system’s Jug-Size Sensor recognises the size of the jug used and dispenses an exact measurement of milk pre-set by the barista. Gone are the time-consuming, menial tasks of opening, pouring from and crushing milk bottles. The Juggler revolutionises the way cafes operate and gives baristas more time to focus on the coffee and the customer. 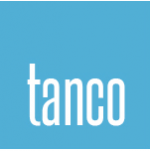 Tanco is a well known distributor in New Zealand, and we are constantly striving to meet the demands in a competitive industry, without compromising our loyalty and dedication to our customers. Going forward we hope to be innovative and insightful in regards to our products, service and reliability, and to be New Zealand’s leading supplier of packaging in the food service industry. The Hungry Product Company is the Australian Distributor for Moooi and Cool Blue Disposable Piping Bags. We also provide a wide range of hygiene, catering and packaging disposables to the catering, food processing and leisure industries.